Orthopedic & Sports Medicine Center of Garland (Richardson) - Book Appointment Online! Please Note: After you request your appointment, our practice will be contacting you via phone and or email and request that you complete a patient profile through our patient portal. 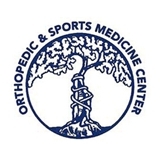 Orthopedic and Sports Medicine Center has provided Garland, Plano, and Richardson area residents quality, compassionate care for over 30 years. We have also enjoyed a relationship supporting our local athletic programs and major employers. The centers original location, near Walnut and Shiloh Roads, is adjacent to Baylor Medical Center of Garland. The practice recently expanded, adding an office at George Bush Turnpike (I-90) at Renner Road in the Methodist Hospital Physician’s Pavillion, and another in Heath, Texas located in Baylor Medical Plaza at Heath. He is the best doctor around and the only one I will see for my orthopedic needs. He and the whole staff are always so professional and compassionate. Couldn't have been any better. He was very nice but brief and to the point. I like that he wasnt ready to make a snap decision on my issues and asked for further testing as well as referred me to a wonderful neurologist who was very kind and helpful as well. With such a scary issue like c spine issues and numbness I am certainly thankful for doctors who care to get to the heart of the problem, not just throw a pill at it.